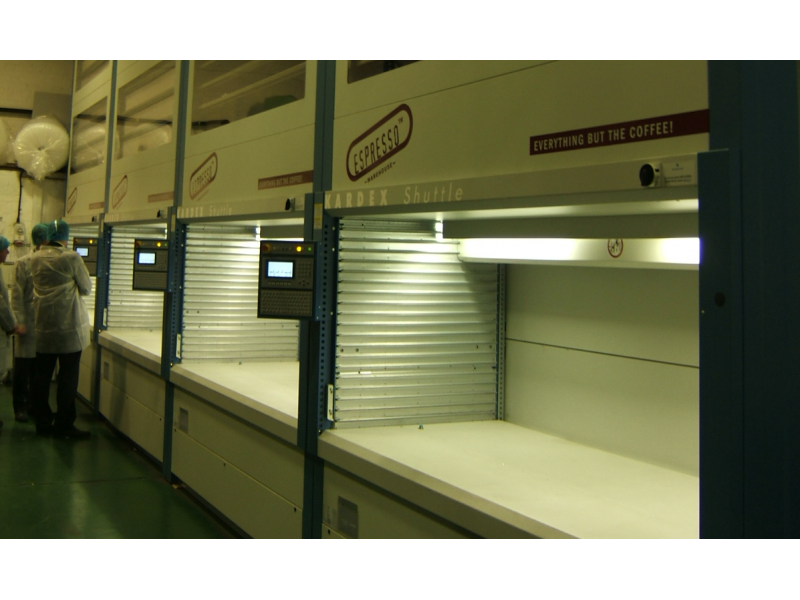 Smart storage and distribution of coffee and coffee products by leading distribution company. Matthew Algie are a leading coffee roaster supplying high street coffee shops across the UK and Ireland. They distribute coffee beans, cookies, coffee cups and expresso machines. Everything to keep a coffee shop supplied. 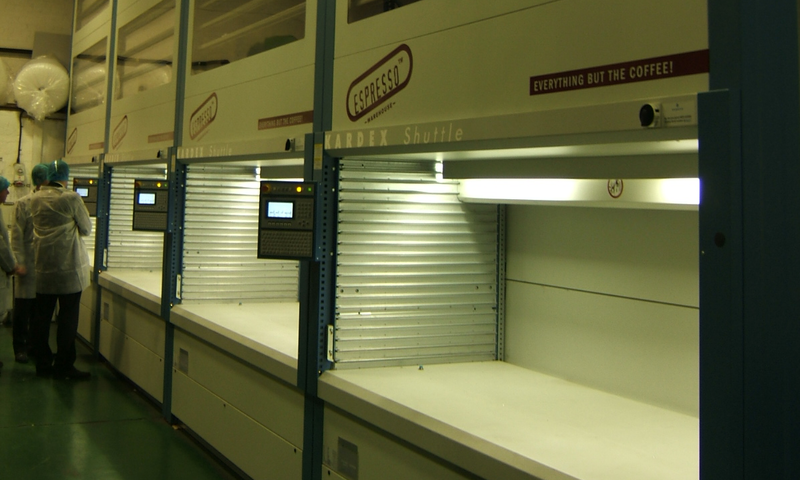 Matthew Algie installed 5 Kardex vertical storage shuttles and 1 Kardex carousel which now store 5000 spare parts for the repair and maintenance of express machines. The attached case study gives an overview of the solution.